As scheduled, WordPress 4.7 will arrive on 6th December 2016 with a lot of new & exciting features. WordPress 4.7 Release Candidate is already here which you can install and try. 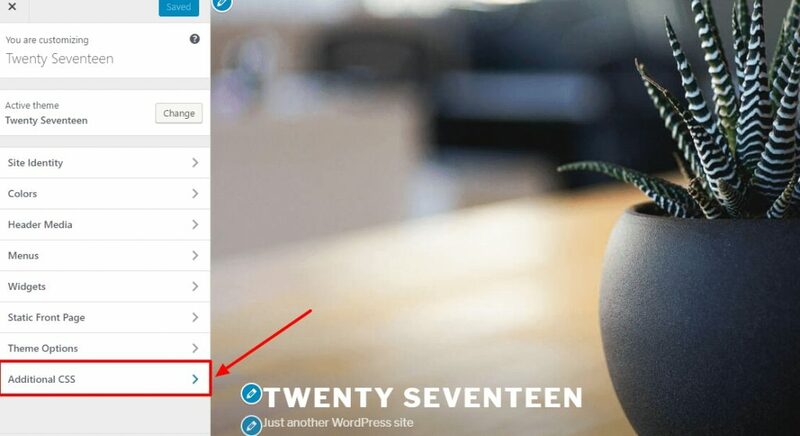 Additionally, we have the new default theme Twenty Seventeen ready with all the awesome features of WordPress 4.7. Among all, additional CSS in the Customizer may be the major thing to everyone including normal users, theme & plugin developers. Additional CSS in WordPress 4.7 is added with the purpose of providing users an access to better theme customization via custom CSS. The feature will be available on WordPress Live Customizer as ‘ Additional CSS’ which will allow users to write custom CSS and make minor styling changes with live previews. You see the changes immediately – without saving and refreshing. Therefore, this feature will surely help you to customize the theme styles more efficiently than before. While saying all this, I am not intending to say that it’s a completely new feature for WordPress. Custom CSS feature is something you might have already used. We have provided Custom CSS field in all of our free and premium WordPress themes and many other WP theme providers also have provided the feature in their themes. Yet, not all themes did have this feature so many people had a tough time making small CSS changes. Besides, there are several WordPress CSS plugins for live editing your WP website. You can install any good one and add this feature in your theme, yet having too many plugins may not be a good idea. Too many plugins take much of database space making your site slow while it may also cause security threats to your websites. Therefore, minifying the number of plugins is important to keep your website speedy and secure. And, the new version of WordPress will free you from at least one plugin. My theme already has Custom CSS field? What happens when I update WordPress? ‘There is already a custom CSS field in my theme.’ – If this is the question, just calm down and chill. Yes, there is nothing to worry about because the additional CSS feature will not do any harm to your custom CSS in your existing template. 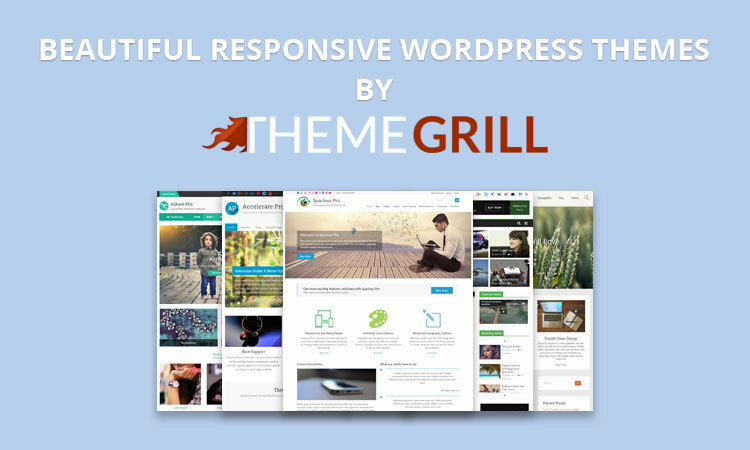 Using any of our (ThemeGrill) themes? If you are using any of our WordPress themes, you might have used custom CSS field in Customizer. 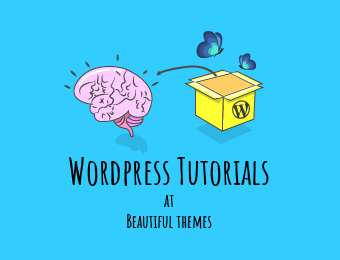 All of our WordPress themes (both free and premium) have this feature as we always focus on making our themes simple and user-friendly. Therefore, we have planned a smooth migration of your theme & complete website data from the older version to WordPress 4.7 without missing any style. We will gradually update our themes so as to automatically migrate the CSS in the old Customizer field to the Additional CSS field as you update your WordPress. All you have to do is to stay close to us so that you can immediately upgrade your WordPress and update your theme. And do not panic! After you switch your website to WordPress 4.7 and update the theme, the CSS that you have written in the Custom CSS field (provided by the theme) will be automatically migrated to Additional CSS field in the Customizer menu. And, the Custom CSS box in the theme will disappear so there will be a single live editing CSS field. Thereafter, you have to go to additional CSS field in the Customizer menu whenever you have to make some styling changes. If you are using a theme from any other theme provider, you have to contact them and ask them how they are going to help you. If you are planning to create a new site on WordPress, additional CSS in WordPress 4.7 is surely a privilege. You can try one of the best free responsive themes from this list. If you already have a WP powered website, this change may mean something to you. Yet, this is not at all a big deal. Just have patience until WordPress 4.7 finally comes on board and keep close to us. Visit our website to learn about the updates or keep an eye on theme update notice on WP dashboard. Last but not the least, a huge WELCOME to WordPress 4.7! Should I update my wordpress version? I should, how to do? I mean any recommanded method from you? Will upgradation process hamper SEO? Will you please answer me these questions? Thanks for writing in. Yes, we suggest you to update your WordPress version. You know keeping your site updated has many benefits including security and performance. Yet, it is not compulsory. Just wait until the WordPress 4.7 comes on the floor and update your site when it is live. In a few days, we will release theme update too. You may get notification in the dashboard if you are using our theme. Just update it normally as you do it and CSS will be automatically migrated to Additional CSS in Customizer. And, it doesn’t affect your SEO. Thanks! No problems so far with 4.7. However, I am using your Social Icons plugin, and the new WP version is incompatible with the plugin. The icons now all display in column format, both in the footer and the sidebar. I know that plugins aren’t big business, but I am hoping that Themegrill can update the plugin fairly soon. I chose this plugin specifcally as it supports Ello. Just had a quick look at your site. It seems like you have used two plugins so that the features are conflicting. Please check on it and may be remove one of them. Hope this helps. By the way, our plugin is soon to be updated. We are doing some research on this feature and its usability. Therefore you won’t find it in the recent updates but it might be available soon in the future. I did not know about it. But I know a lot from this article. Thanks for sharing.